Every American wants to be a homeowner. With today’s economic costs rising rapidly, new homeowners want to save money on energy costs. Every American uses energy differently, whether it’s cranking up the AC when it’s 100 degrees outside or the “idle power” of a desktop computer draining the power of a wall outlet instead of a battery. 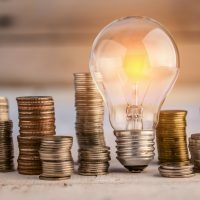 Wallet Hub says “In the U.S., energy costs eat between 5 and 22 percent of families’ total after-tax income, with the poorest Americans, or 25 million households, paying the highest of that range.” Usage drives utility costs up, so it’s smart to make sure your new home is energy efficient. Many utility companies will release energy costs when requested. You can reach them by calling or going online and using online tools to identify issues or to enroll in energy saving programs. Utility companies’ online services include resources and tips, outage trackers and alerts, energy efficient programs and resources to analyze your energy use. The Internal Revenue Service offers assistance to homebuyers. The IRS offers two one-time tax credits that can help homebuyers save money, the Non-business Energy Property Credit and the Residential Energy Efficient Property Credit. Credits provide up to $500 in savings for homeowners for home improvements such as adding insulation, adding energy-efficient exterior windows, installing doors and certain roofs. Other items include solar hot water heaters, solar electricity equipment and wind turbines. According to the U.S. Department of Energy, “a home energy audit, also known as a home energy assessment, is the first step to assess how much energy your home consumes and to evaluate what measures you can take to make your home more energy efficient.” Home energy audits are important because they point out what can be done to make your home energy efficient, but also what can be done to save you money over time. Be aware that an energy audit is different than a home inspection. Energy audits can be costly, but will save you money long term. To save money, visit Energy.Gov for more helpful videos and articles on saving money.